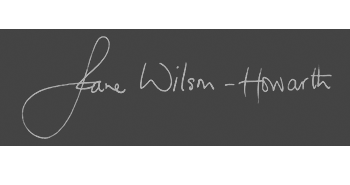 Jane Wilson-Howarth (JW-H) is committed to protecting and respecting your privacy. For the purpose of the Data Protection Act 1998 (the “Act”), the data controller is Jane Wilson-Howarth whose registered address is 33 Hartington Grove, Cambridge, Cambridgeshire, CB1 7UA. These cookies are used to compile various (anonymised) metrics for our users to get a better understanding of how the site is used (pages visited and time spent on the site, for example), so that Jane can deliver more of the content you want, and less of the content you don’t. (She does not allow advertising on her site). This information also helps us to make better decisions for our future initiatives. We use partners like Webengage and Google Analytics. These analytics cookies are set by those partners, and are in accordance with the relevant partner’s own privacy and cookies policies. Websites often collect information about how users interact with a website. This may include the pages that users visit most often, and whether users get error messages from certain pages. Jane uses these so-called “session state cookies” to help us improve the website’s services, in order to improve our users’ browsing experience. Blocking or deleting these cookies will not render the site unusable. By agreeing to Jane’s Terms and Conditions, you agree to the site using the cookies and your information in these ways, but you can delete any of these cookies at any time if you wish. Jane will take all steps reasonably necessary to ensure that your information is treated securely and in accordance with this Privacy & Cookies Policy. All information you provide to Jane is stored on our secure servers. Unfortunately, the transmission of information via the internet is not completely secure. Although Jane will do her best to protect your information, she cannot guarantee the security of the information you transmit to the site; any transmission is at your own risk. Once Jane has received your information, she will use strict procedures and security features to prevent unauthorised access, as required by applicable laws. In particular, we take steps to protect the security of your information with appropriate physical, technological and administrative measures. You accept the inherent risks of providing information and dealing online and will not hold us responsible for any breach of security that is due to circumstances beyond our reasonable control. Jane uses information held about you to ensure that content from the site is presented in the most effective manner for you and for your computer, to provide you with the services outlined in this policy, and to understand how you use the site and how it is functioning so that Jane can maintain and improve the site. Jane may use the information she collects to comply with law, to investigate a complaint made by another user or a potential breach of the site’s Terms and Conditions or to prevent and detect unlawful or criminal activity, fraud and misuse of, or damage to, the site or the products, content and services made available through it, and to take appropriate legal action against those responsible. Jane may on occasion link or combine the information that she collects about you with information that we receive from other sources. Jane may combine this information with information you give to us and information Jane collects about you. (For example, she may decide to combine two or more databases into a single database of information.) We may use this information and the combined information for your and/or Jane’s benefit (for example, to allow Jane to provide a more seamless support and/or to provide you with better, personalised services and content). Jane may disclose information that does not identify you personally including aggregated or de-identified data, in our discretion. The site may, from time to time, contain links to and from the websites of third parties. If you follow a link to any of these websites, please note that these websites have their own terms and conditions and privacy & cookies policies and that Jane does not accept any responsibility or liability for these policies. Please check these policies before you submit any personal data to these websites. Do contact us if you have questions or are concerned that we might be holding data about you by emailing wilson.howarth@virgin.net or write to 33 Hartington Grove, Cambridge, Cambridgeshire, CB1 7UA. Please be advised that any personal information that you choose to provide us with when contacting us will be utilised in accordance with the Act (and any other applicable laws) and will be destroyed after Jane replies to any queries that you may raise. Any changes Jane may make to this Privacy & Cookies Policy in the future will be posted on this page. Finally, if you have actually read to the end of this – Jane salutes you.